It's that time of year again and the fifth annual Free From Skincare Awards open on 1st February. Run by the team behind skincare site Skins Matter, the Awards celebrate the best skincare products that are ‘free from’ allergens and other ingredients which many consumers now avoid. 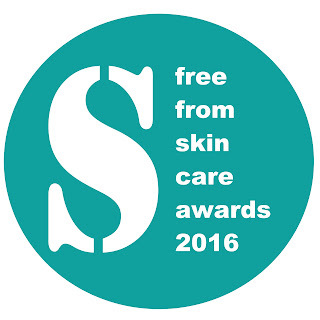 This year there are thirteen categories, including Family Skincare (sponsored by long standing supporters NATorigin), Make Up (sponsored by Benecos), and a special ‘Free From Achievement’ award (sponsored by Organii). Other categories include Men’s Grooming, Problem Skin, Hard Soaps and Hair Care.